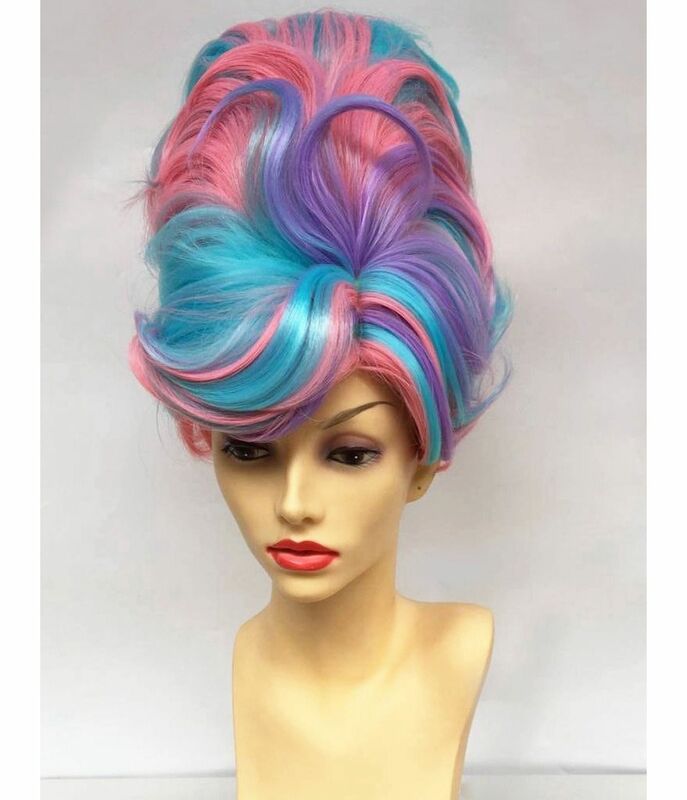 Unique 1960's style beehive wig boasting a pretty, multi coloured blend of pastel pink, purple and blue tones. The super sized bouffant effect wig features natural layers sewn into a beehive shaped wig cap - no need for styling or any backcombing! The large, side swept fringe originates from a side part line with skin top, giving the appearance of hair growing from the scalp. 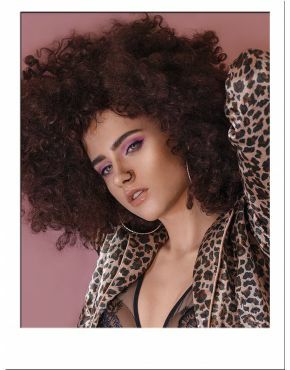 A magnificently photogenic wig, ideal for editorial shoots, makeup looks and performance art.